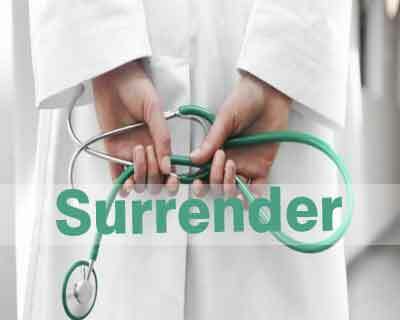 Nashik: A woman doctor of Nashik civil hospital, who was suspended last month for illegally aborting a 24-week female foetus, was arrested after she turned herself in before the police, an official said. “Dr Varsha Lahade surrendered herself in Sarkarwada police station in morning, following which she was arrested. She was produced before a sessions court here, which remanded her in police custody for five days,” said Sarkarwada police station in-charge Sitaram Kolhe. Dr Lahade, the head of maternity department at the hospital, was booked under the Medical Termination of Pregnancy (MTP) Act on April 8 by Mhasrul Police in city. She was untraceable since then. An unknown person had complained to the Nashik Municipal Corporation (NMC) that Dr Lahade had carried out the abortion at civil hospital on March 22. A complaint was lodged against her by Medical Officer of NMC, Dr Vijay Dekate. Following the complaint, Maharashtra government set up a team led by deputy director, Health. Dr Lahade was also booked on charges of running a private hospital on Nashik-Dindori road by using forged papers for registration, for violating government service rules, and for keeping illegal stock of medicines at her hospital. Police had also booked the pregnant woman and her husband in connection with the abortion. A BJP MLA from Nashik, Devyani Pharande had raised the issue during the recently-held Assembly session, after which the government suspended Dr Lahade. Earlier, a court here had rejected her anticipatory bail application.